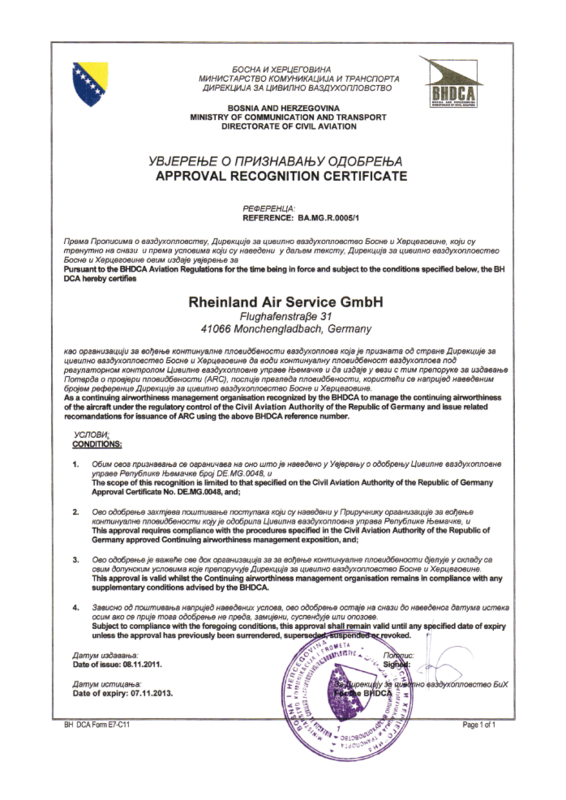 Rely on RAS, the first European ATR-approved MRO network partner. RAS is also one of only three companies worldwide certified by ATR for the repair and overhaul of flight controls, such as landing flaps. 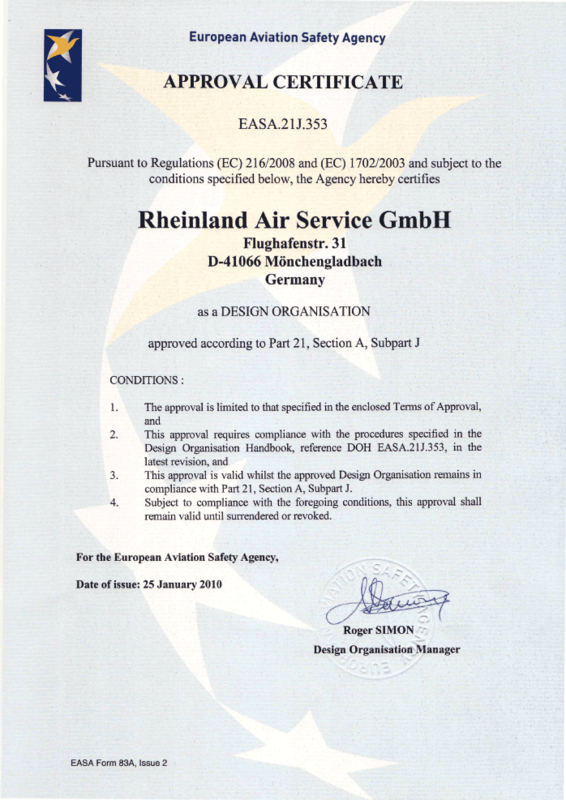 An EASA-approved Part 21 Design organization for avionics and electronics solutions, RAS has long been a leader in developing and installing customized avionics. 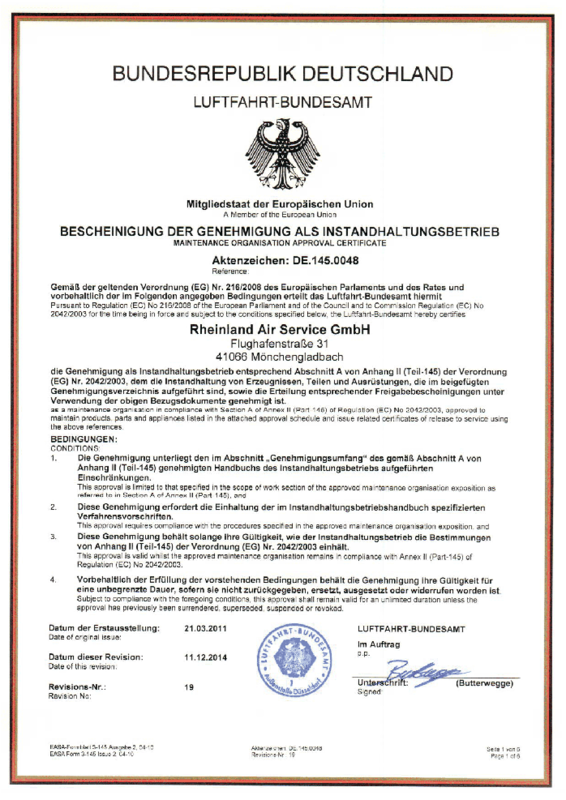 RAS is accredited to authorize minor aircraft changes and supervise the approval process. 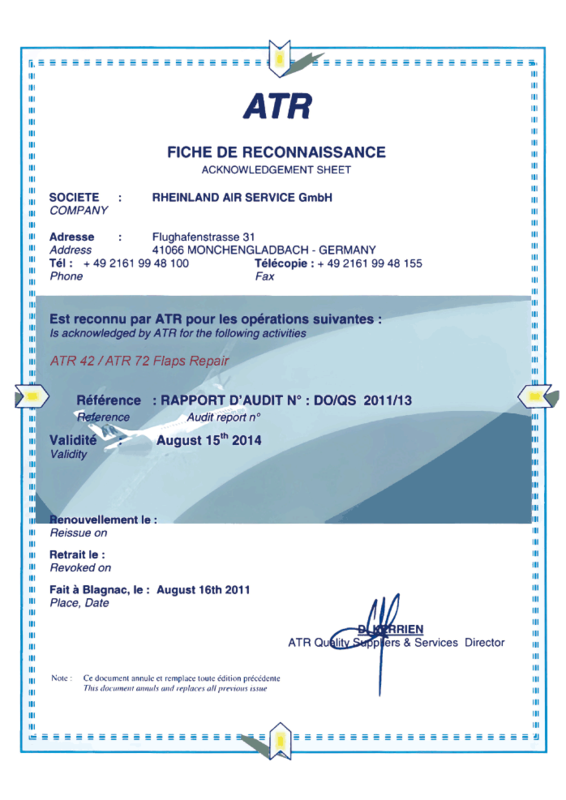 See our ATR maintenance brochure for a more complete listing of our many approval certificates. Issued by A/C Manufacture ATR. 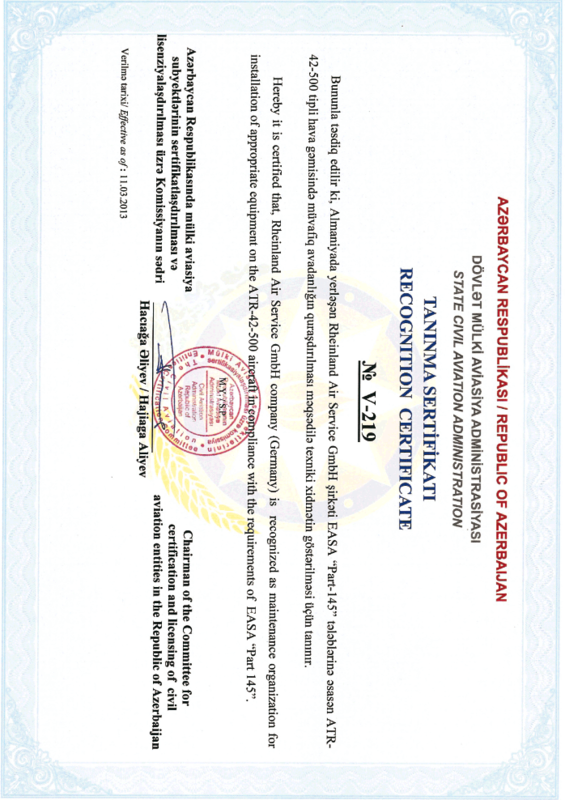 Issued by the Competent Authority (LBA). Issued by the Ministry of Communication and Transport, Directorate of Civil Aviation Bosnia and Herzegovina. Issued by the Ministry of Communication and Transport, Directorate of Civil Aviation Canada. Issued by the Ministry of Communication and Transport, Directorate of Civil Aviation Bermuda. Issued by the Ministry of Communication and Transport, Directorate of Civil Aviation South Africa.